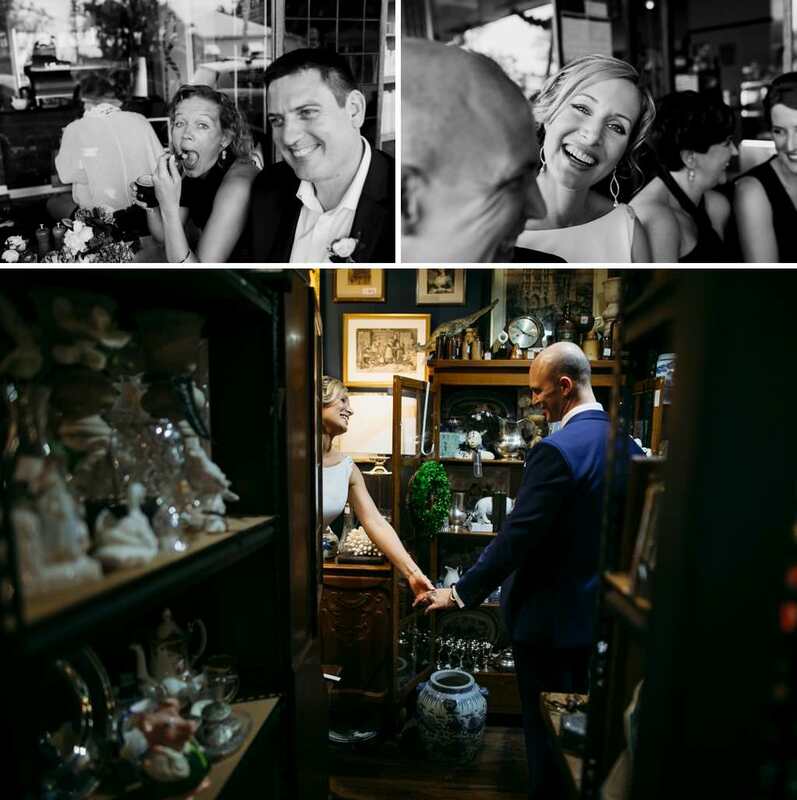 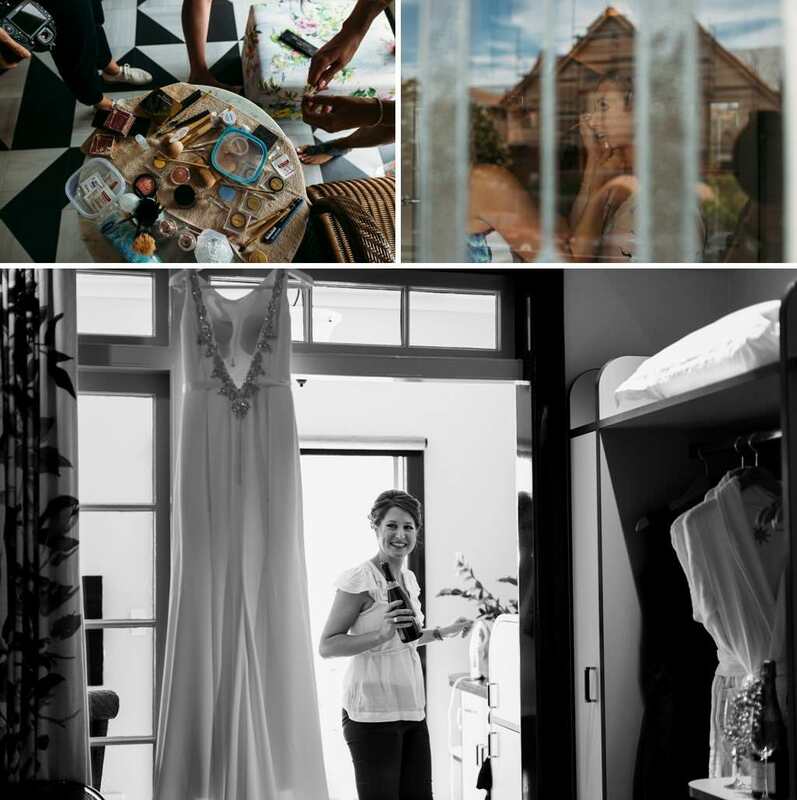 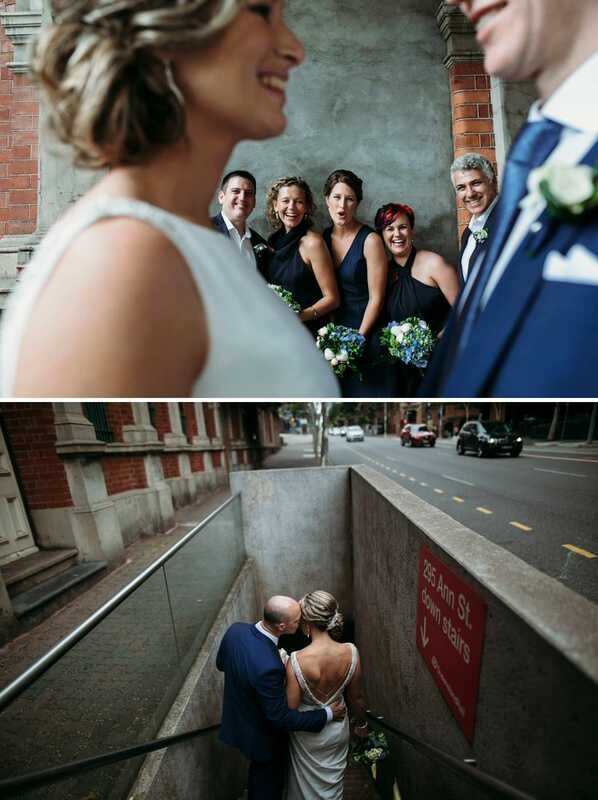 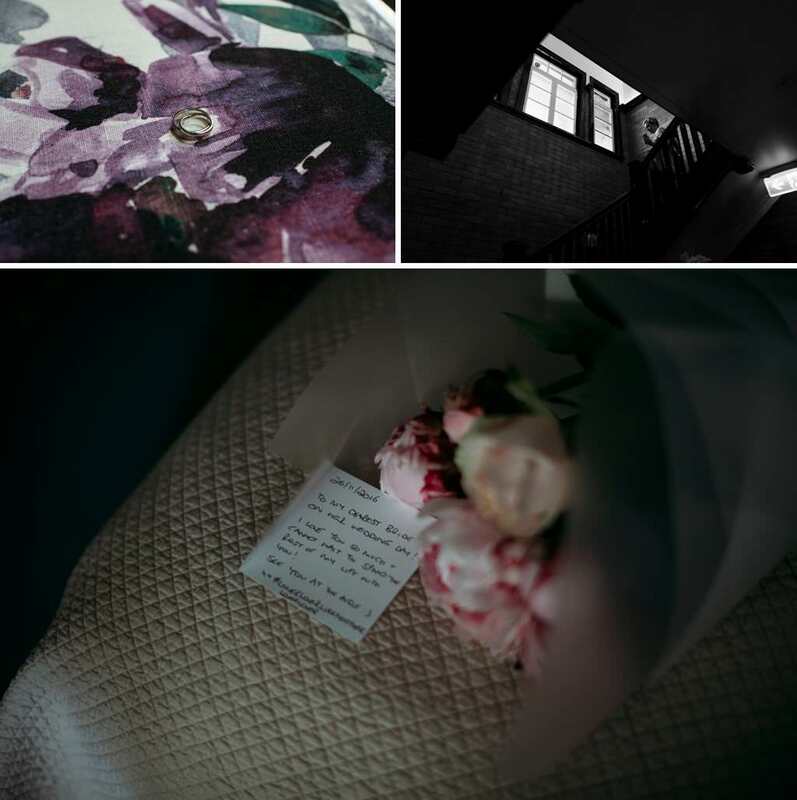 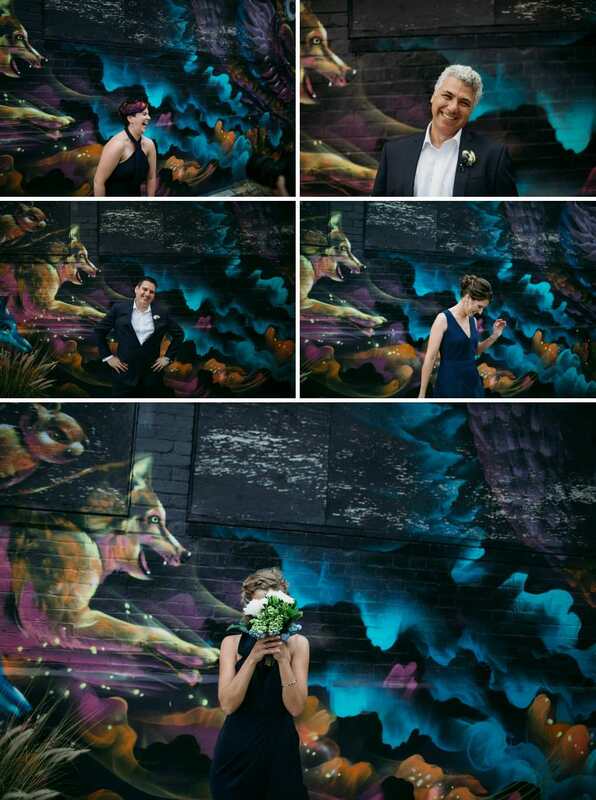 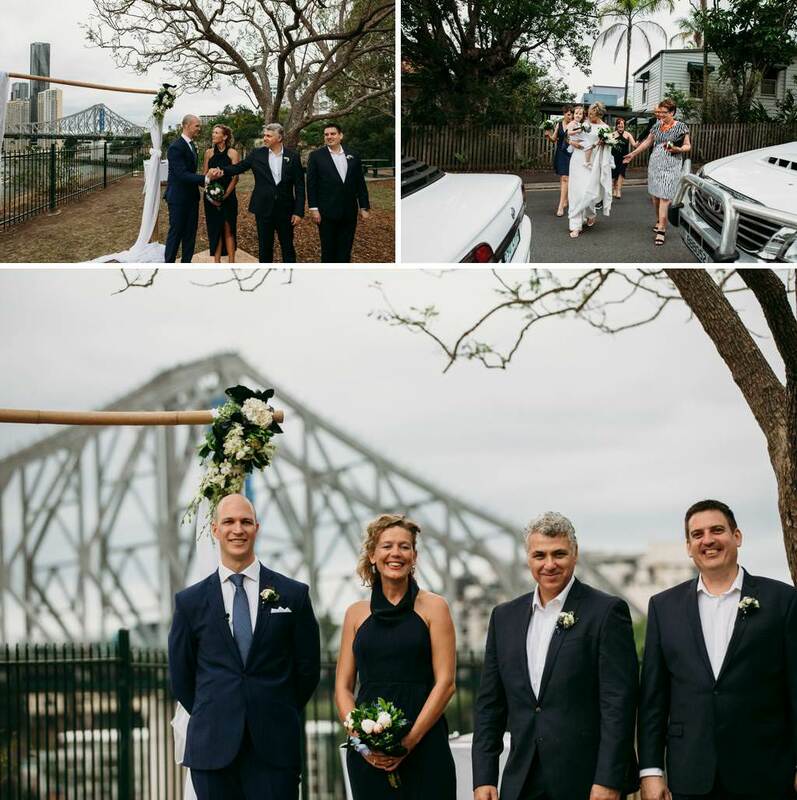 What a treat it was to capture the brilliant wedding of Pip & Wes in sunny Brisbane recently…if was great to experience being a Brisbane wedding photographer for the day! 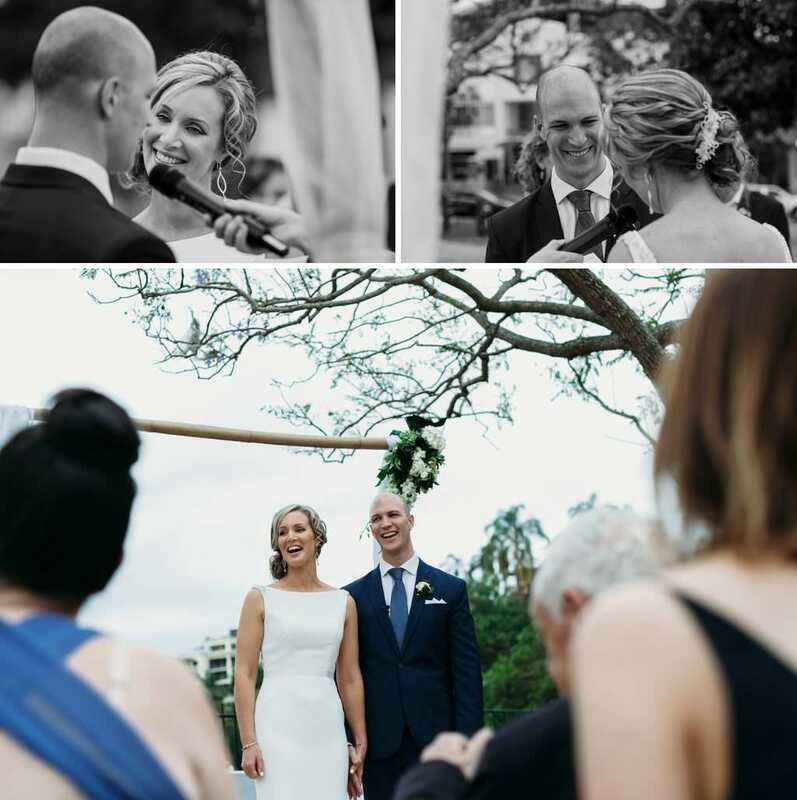 Not only was their wedding a stack of fun, it was proof that when your best made plans go out the window the greatest results can often be produced… but more on this later. 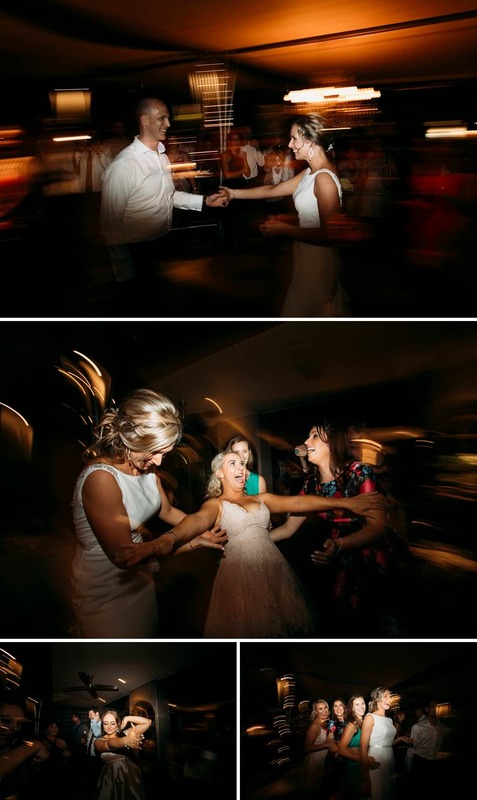 Haley & bride Pip became good friends through their local gym in Canberra, so it was of course a sure thing that when it came time for her wedding day to Wes, The Beautiful Collective would shoot it! 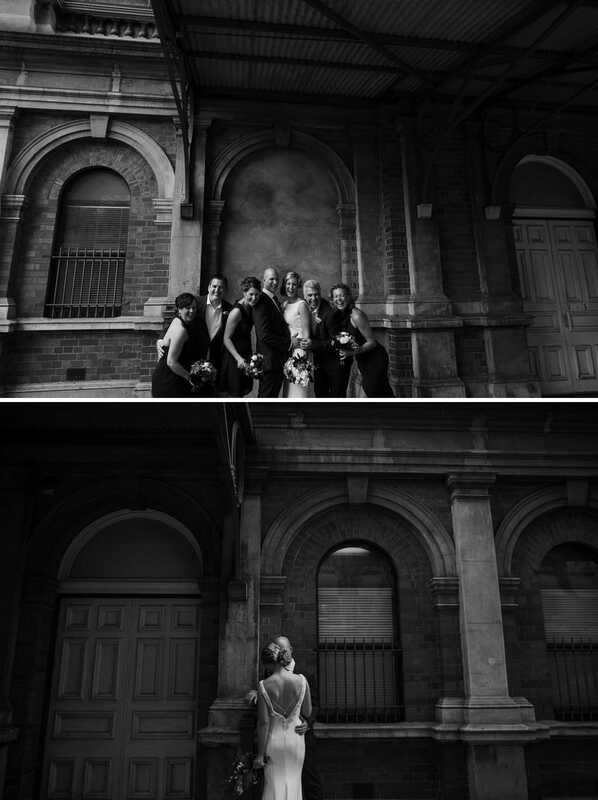 Pip excitedly prepared for her big day at a cute little New Farm B&B with her closest ladies while Wes very excitedly waited outside for his stunning bride & their ‘first look’. 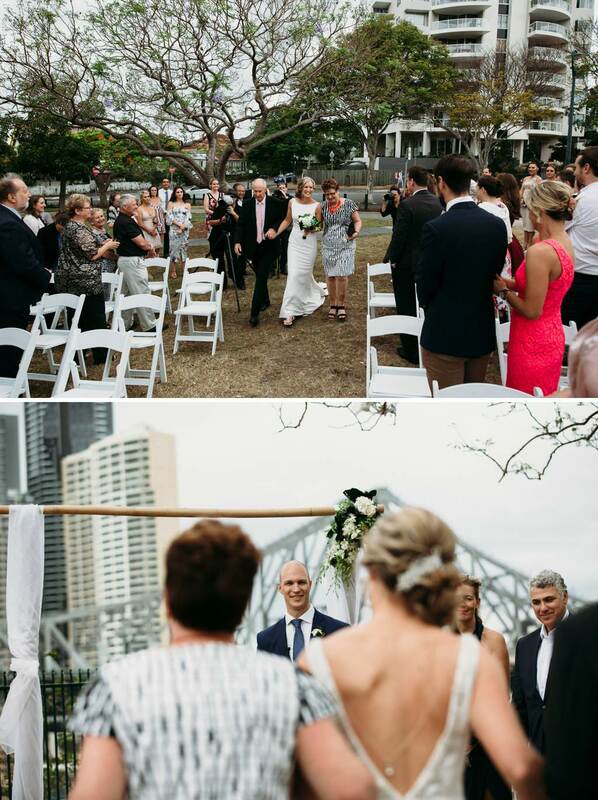 We had been ever so organised & had scouted to do part of their wedding bridal shoot around Brisbane harbour near Story Bridge, but upon arriving at the shooting location the whole area had been shut off, so we all jumped into the minibus Pip & Wes had hired & just followed our noses & of course the light, around Brissy. 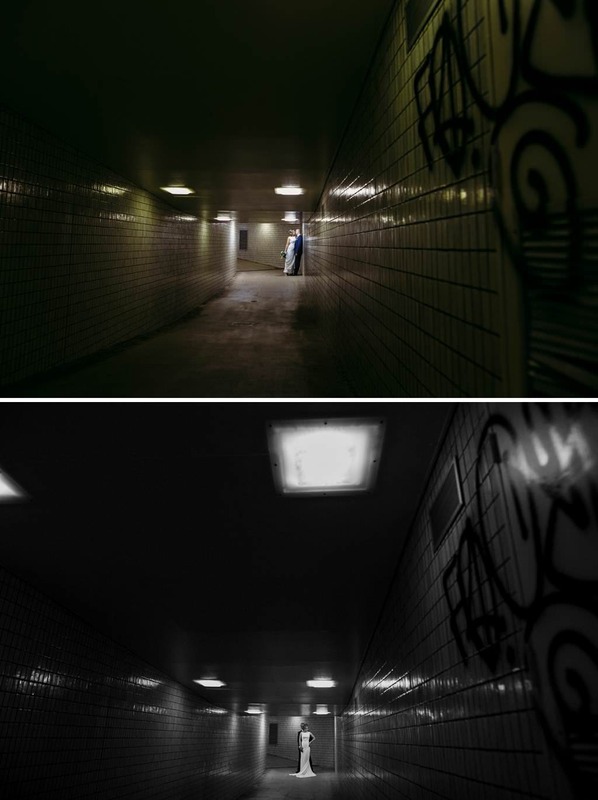 From then on in it was basically one cool location discovery after another… a moody light infused underground train walkway, an incredible abandoned roller rink smothered with awesome graffiti, & of course the cute little cafe where Pip & Wes had their first date (okay this fun pit stop was actually planned). 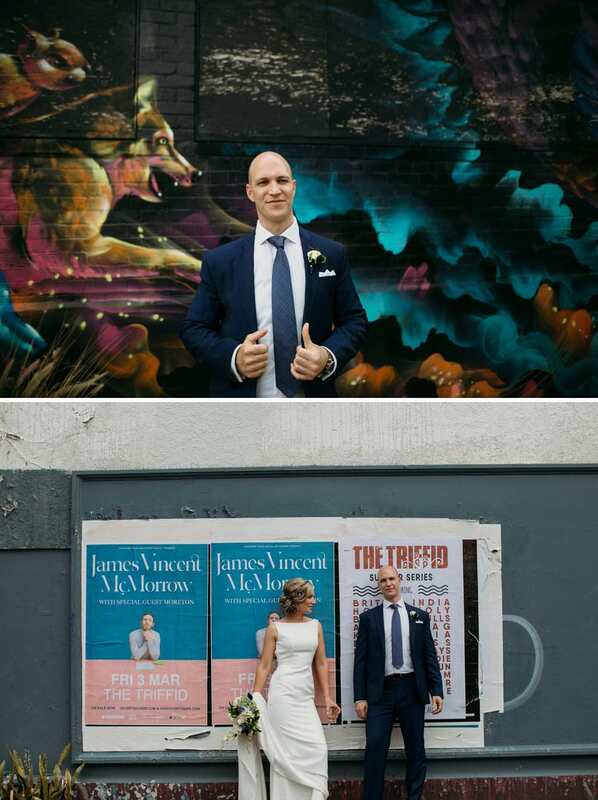 It was such a fun shoot full of non-stop laughs that carried right through to the ceremony…just ask bridesmaid Anita, who accidentally tripped in her heels & stacked it while walking down the isle before Pip! 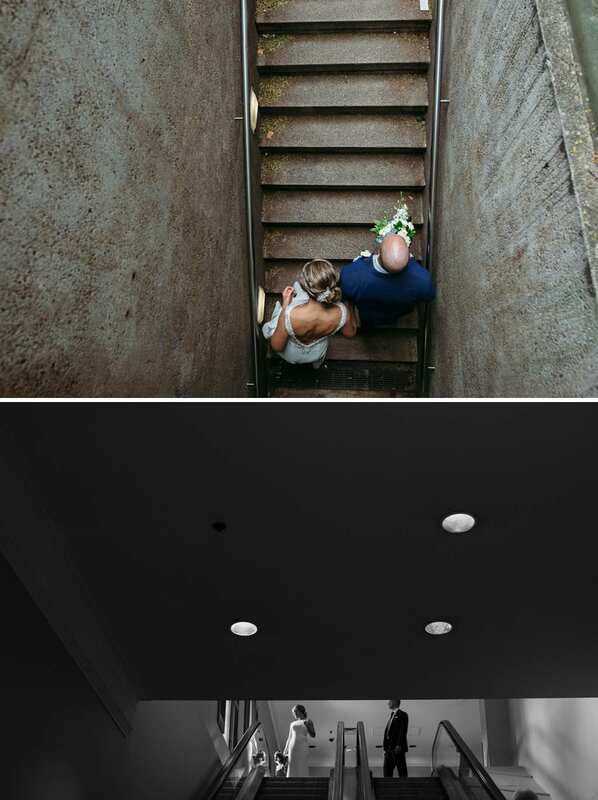 Thanks for taking one for the team champ! 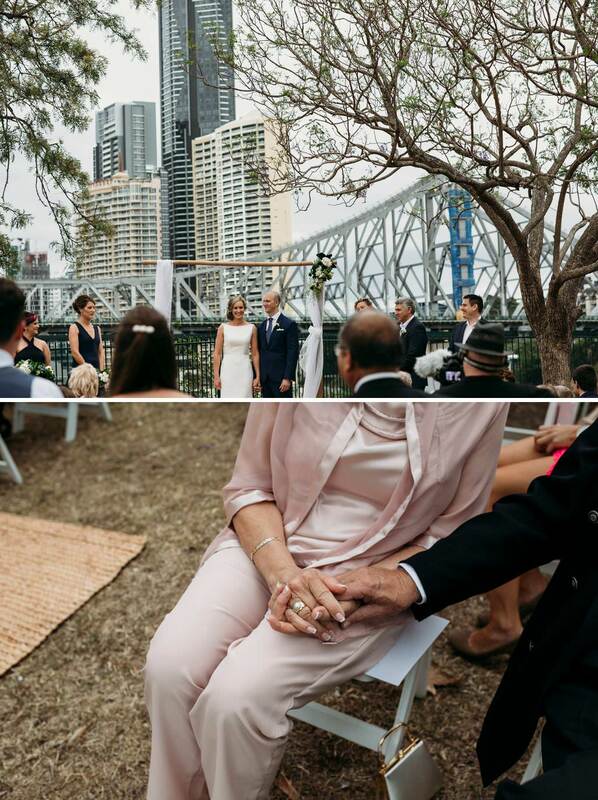 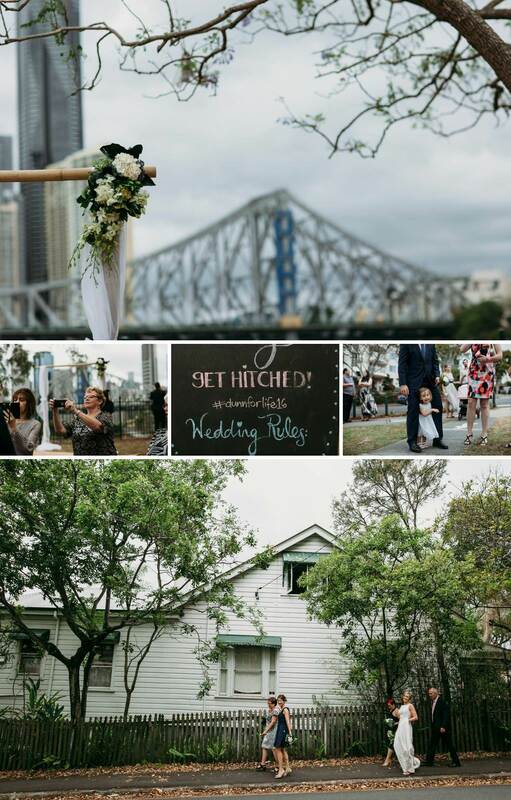 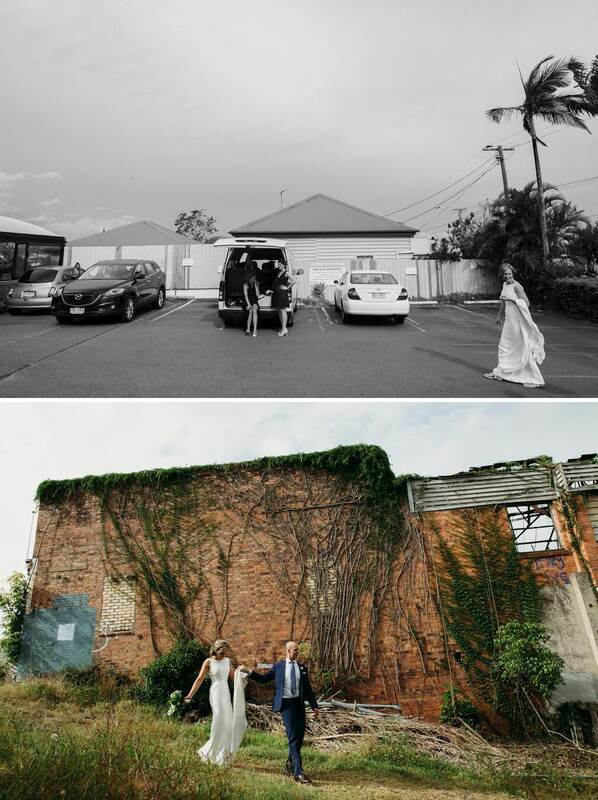 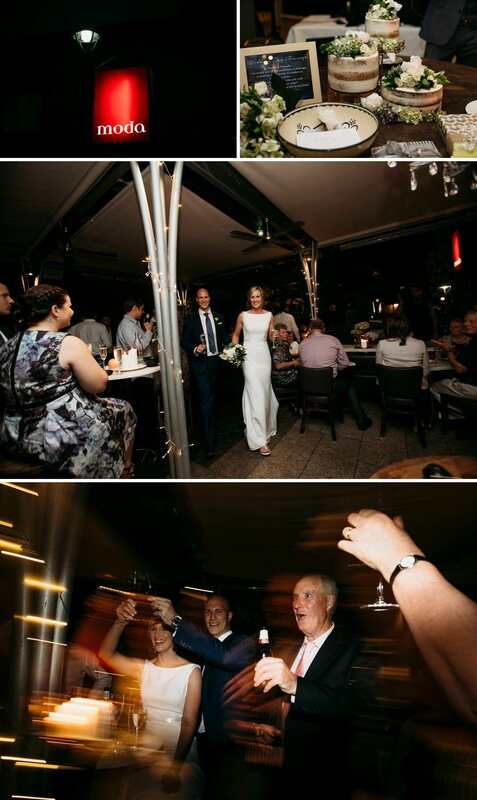 Wes & Pip’s intimate wedding ceremony took place on the banks of the river at lovely Wilson Lookout Reserve. 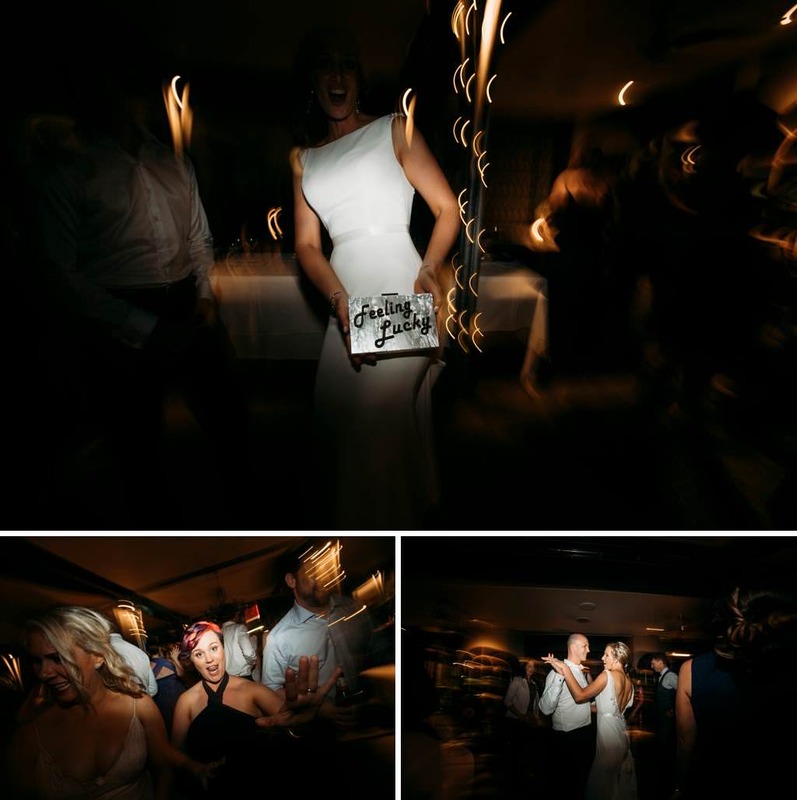 The newlyweds joined their nearest & dearest at funky local venue Moda & celebrated the night away in style (side note: noone stacked it).